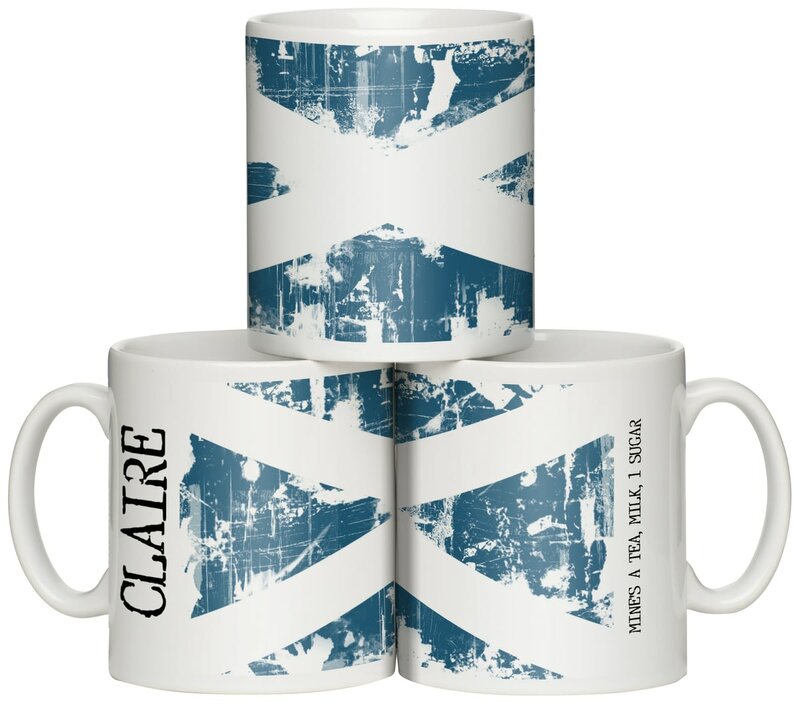 Show off your national colours with this stylish grunge design flag mug. Personalise with any name and choice of beverage and how you like it. Full colour printed on a ceramic 10oz mug. Dishwasher and microwave safe and scratch resistant. For a friend who is Irish or just someone who loves the country, this notebook would make the ideal little gift for fans of Ireland. For a friend who is Scottish or just someone who loves the country, this notebook would make the ideal little gift for fans of Scotland. For a friend from the US or just someone who loves the country, this notebook would make the ideal little gift for fans of America. With this mug in your hands no one will ask you your name, where you're from and how you take your preferred beverage. Fly the flag and put your name to it. This 10oz ceramic mug has a stylised St.
George's flag and carries instructions as to how you should have your beverage. This 10oz ceramic mug has a stylised flag of Scotland and carries instructions as to how you should have your beverage.